For many reasons, this week was a doozy. The only thing that salvaged it was a successful photography session, and nothing helps blogging more so than that. Dain deconstructs the effect of neutrals at Ars Aromatica. 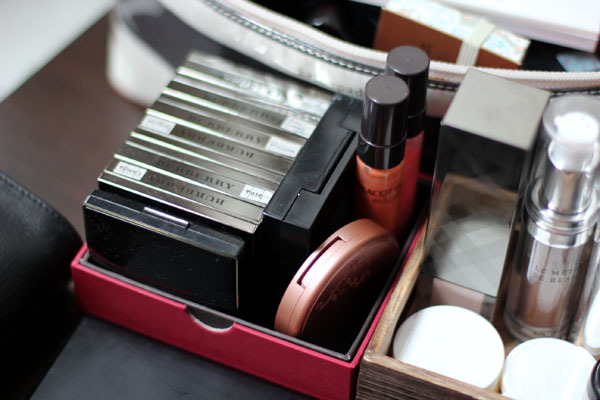 Sabrina wrote the Burberry Blush post to end all Burberry Blush posts at The Beauty Look Book. I own five of these things and still think it's not enough. Tracy smacks down on her one Tom Ford Blush at Beauty Reflections. Something about socks being firmly in place. Liz of Beauty Reductionista compares an actual robin's egg to nail polish in her existing stash. Best Things in Beauty is undecided over Ellis Faas Green Gold. I've always loved British Beauty Blogger for her juicy insider stories. This week she rants about goodie bag blaggers. Amy makes me more and more jealous of her with every Paris update on Cafe Makeup. Another NUXE Reve de Miel lip balm rave from Dani at Call It Beauty. If I didn't already have at least six lip balms in front of me right now, I'd get it in a flash. It's a good week for blushes. Delicate Hummingbird reviews Beauty is Life Blush Palettes (over 80 photos involved). Arianne the Glitter Geek goes from straight to wavy hair and tells us how. Does this mean I need a flat iron, stat? Gaia shares her personal perfumery traits on The Non-Blonde. There are flowers on Rae's face! The Ultimate Makeup gives us swatches of the Chanel Fleur de Lotus collection (available exclusively during Nordstrom's Anniversary Sale) and I'm sure I need that blush. You should definitely do a makeup collection post! Haha. Unless you've already done one. HAHA Yes. Socks firmly in place Cheekz! FIRMLY! Rae- do it on my face!